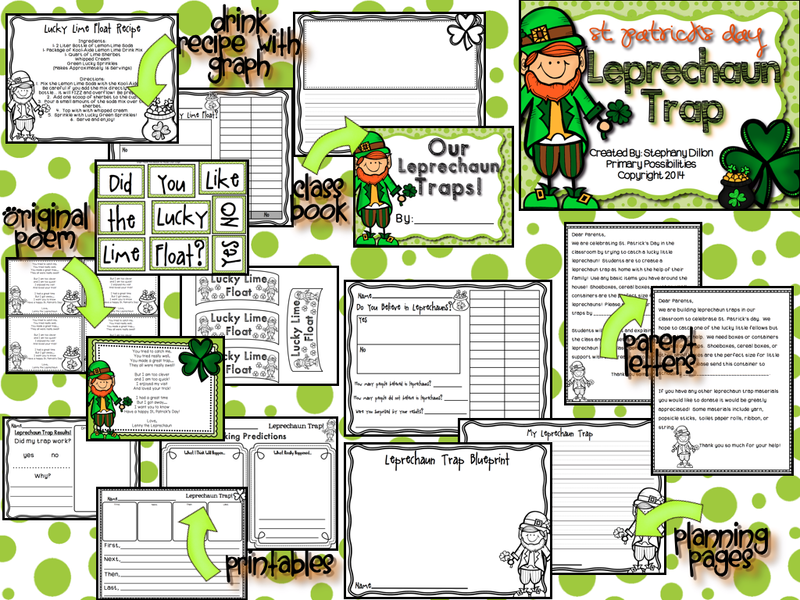 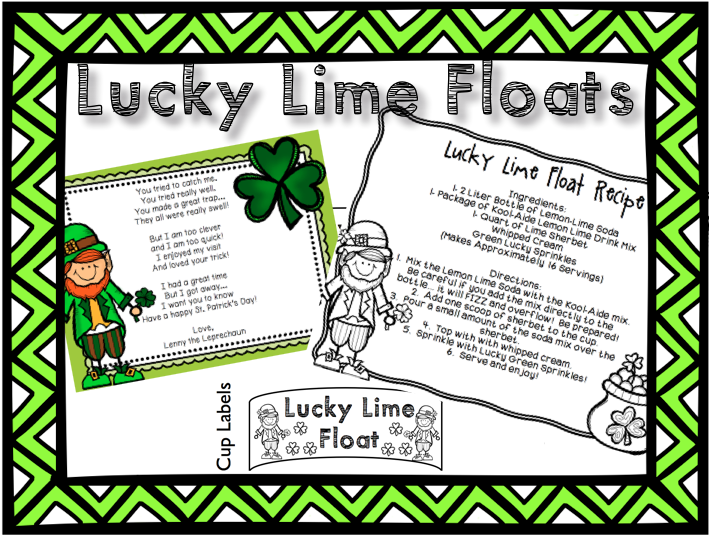 Primary Possibilities: St. Patrick's Day and Spring Break! 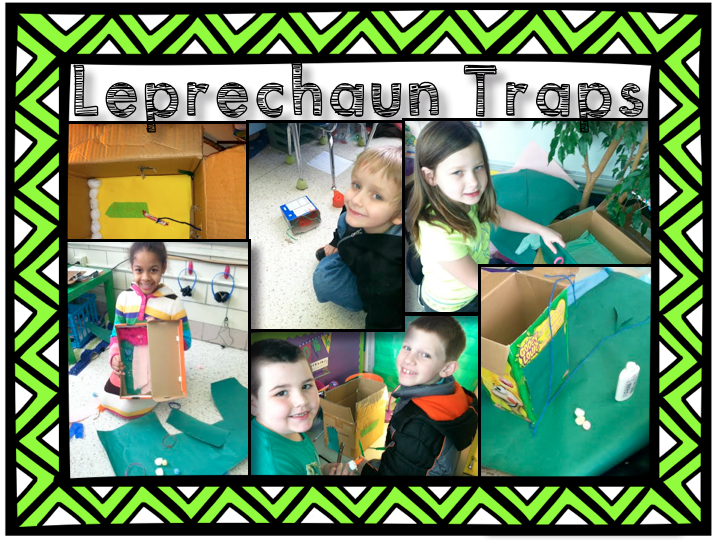 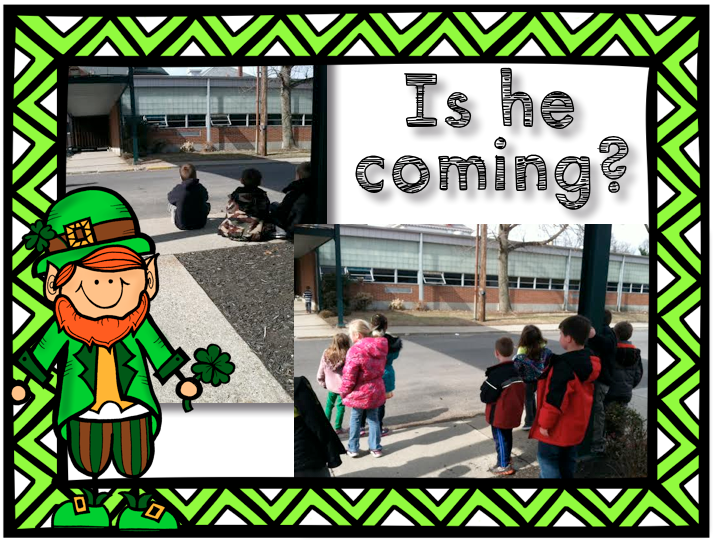 There were some very eager students who spent recess time watching the classroom windows to see if the leprechaun would make his way in through one of the open windows. 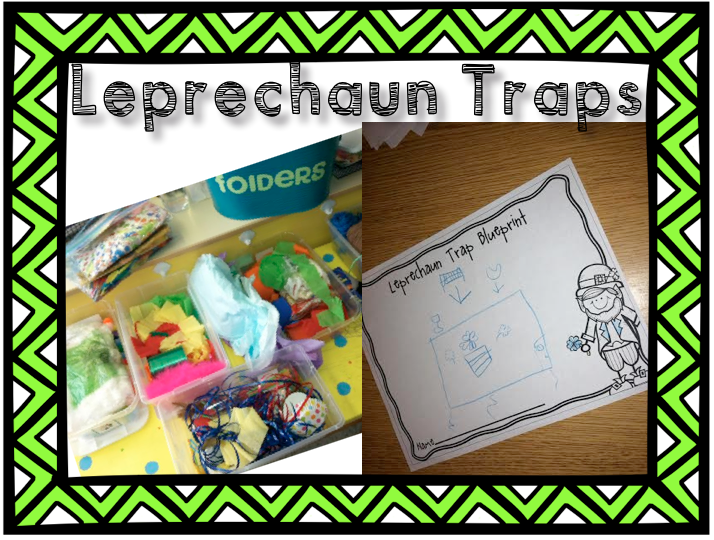 This should be a lesson in mass hysteria because what started with a few students ended up being many after some "leprechaun sightings." 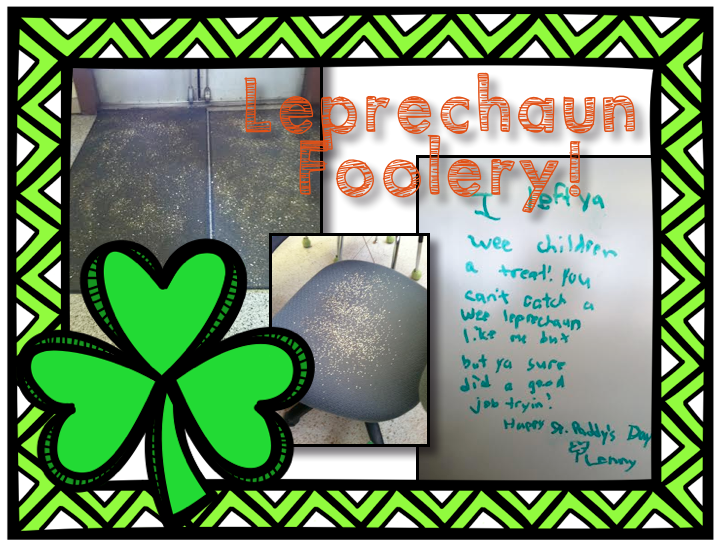 And we had a little treat from Lenny at the end of the day... afterwards we cleaned up the glitter left by "Lenny" and even shared our treat with the Kindergarten teachers despite their own trickery! 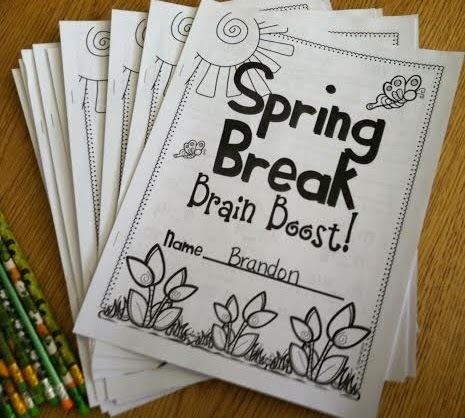 I sent the kiddos home with this little treat... my Spring Break Brain Boost... more on that later this weekend!